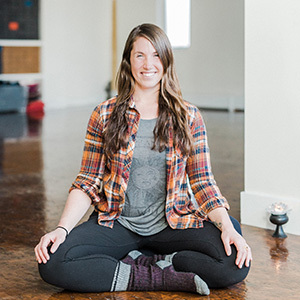 My name is Sasha and I am a Calgary-based yoga teacher. My practice started in 2010 and it was much needed therapy. Yoga enriched my life and I fell in love. It is such a privilege to hold space for people to experience and choose what they learn on their mat. Teaching has definitely been an adventure. Watching students grow and express more of their beauty is inspiring. My curiosity about the practice is ever growing. I have completed the 200 hr Eoin Finn Blissology Training, 200 hr Define yoga training and 100 hr Adjusters training locally at the Bodhi Tree. Not to discount self-practice, local teachers and all the students who share their time with me.